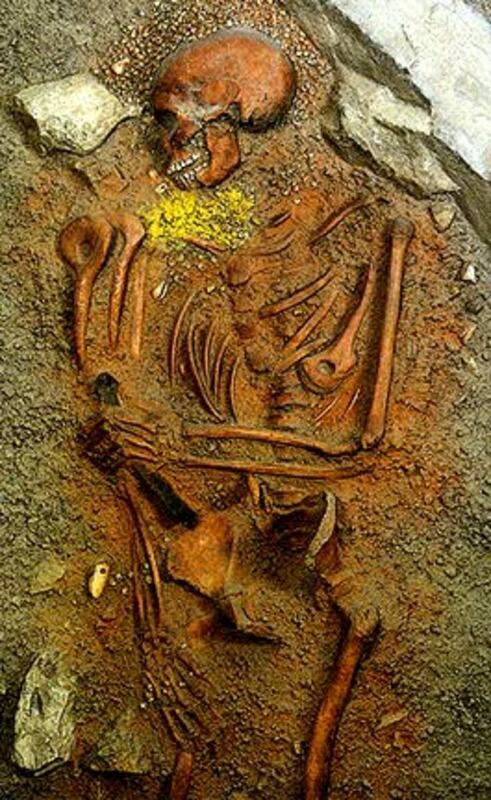 The Middle Ages is said to be the period from the fall of the Roman empire (476 A.D.) to the late 15th century. During the Middle Ages, it was believed that women who practiced witchcraft were in an unholy alliance with Lucifer or Satan, i.e. the Devil. Supposedly, a witch had been given supernatural powers by Satan and with this added advantage, these women or witches could perpetrate extraordinary acts upon mankind. These witches were skillful at sorcery and used magic powers derived from evil spirits to cast spells on others and take control of the free will of another human being. This belief accompanied by fear led (or allowed) people to accuse a woman suspected of being a witch of being guilty of vice (a habitual disposition to choose evil), or of being Lucifer's sexual pawn, or being responsible for plagues and diseases and murders, and likely, whatever else made for a convenient accusation, at the time. Specifically, in 1484, some truly evil people who had power, collectively referred to in historical documents as "Church and State", authorized the persecution of whoever it was they decided needed to be eliminated, because it was a very useful tactic to employ, if you really wanted to control the free will of another human being. These unfortunate souls were called witches . Torture was used to extract their confessions and these confessions were presented to the general public as proof that the accusation brought against these precious souls was true and they were, in fact, witches. In medieval times, the most significant ecclesiastical directive was a papal bull issued in1484 by Pope Innocent VII: Summis desiderantes affectibus (Latin: "Desiring with supreme ardor"), which officially sanctioned the persecution of unfortunate persons accused of being witches. Many many many people were tortured and put to death. 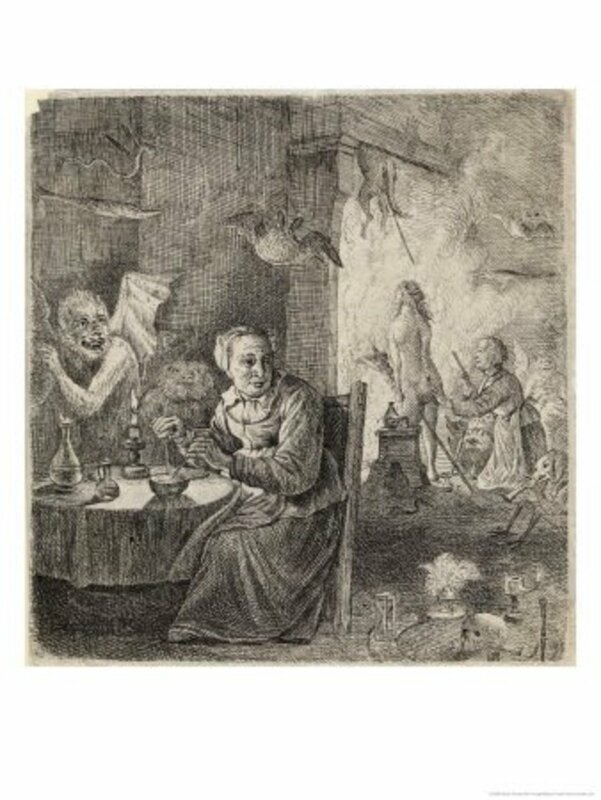 Eventually, around the 17th century, the witch-hunting mania came to a climax in England, Scotland and America. Why? Well I have a thought. I think it was when they executed a couple of dogs that were accomplices of witches, supposedly - the frightened hysterical frenzied people of the town took hold of their senses and said: "WHOA! Oh come on! Just how dumb do you governors really think we are?!!" No doubt the sight of those dead dogs is where the people drew the line. Cause really, how many people do you suppose had dogs? Dogs are man's best friend. They don't own property or nothing. They just protect their masters and expect a scratch behind the ear or for you to rub their belly, in return; and spare a few scraps of food from the master's table so they can keep up their strength. "THAT IS IT!!! You are not going to kill our dogs and let black cats walk!!" Although there are some places where people take witchcraft seriously, they don't burn and stone witches these days. In western cultures, witches are incorporated into Halloween festivities (fake witches, not real witches). Folks dress up in costumes that look like what witches probably should look like. Usually they dress up like the ugly witches. Frank Oz cleared up the confusion once and for all - not ALL witches are ugly. Glinda, The Good Witch of the North, is proof! An account of the Salem witchcraft investigations, trials, andaftermath. 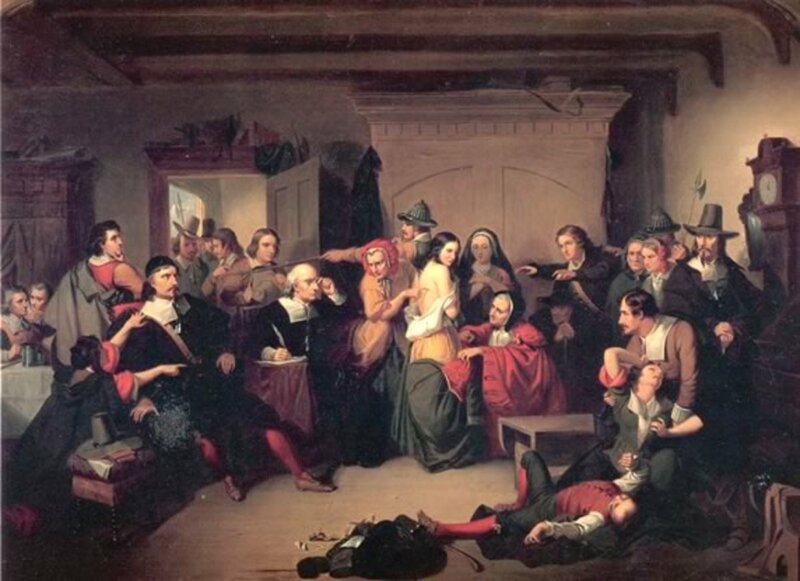 An account of the Salem witchcraft trials of 1692. A Commentary by Douglas Linder - An account of the Salem witchcraft investigations, trials, and aftermath. One-page account, but a fascinating read! Is There a Manual on ... How To Become a Witch? There are people who still practice witchcraft and celebrate the witch's sabbath, etc. ; but they don't exactly advertise. So how does one get in? A manual or a handbook is probably a good place for starters. There are published handbooks that contain everything the aspiring witch would need to know, if you're curious about the principles, rituals and beliefs of modern witchcraft. You might also do research on being a demon. Just for exploration. So would you like to be a witch? Nope! Church and State might reunite and go at it again! Sounds like being a demon is more fun! Mocking and scoffing about what others believe is not cool! I'm already a witch (warlock). I love reading about witchcraft and the past is extremely interesting I found this an outstanding article and hope you continue on this topic. That is fine. I totally understand. You have a life. For the most part, I do not. I am disabled and cannot have a social life. I kept a doctor's appointment today. Got my three-month painshots put into my spine and now I am worn out. So do not apologize for not responding at once. You did do a good job in presenting this topic in a sensitive manner and not offensive to anyone. I enjoy your writing. Keep up the fine work and stay in touch with me. This was really thorough! I loved reading about (and watching documentaries about) the Salem witch trials and have always had an interest in witches. However, I prefer witches like Kiki from Kiki's Delivery Service (a movie) - totally harmless, and actually really valuable to towns without resident witches. Voted up! Witchcraft is an extremely interesting topic. Whether its having fun with the idea, enjoying the concept, or being a die hard cultist, witchcraft has always had a wide following. It can be scary funny and quirky. It's really something with a lot of history and remains very relevant to this day. @Tolovaj - The whole world has a dark past. It saddens me to also have to accept that it has a dark present as well. Many would like to put certain events in history behind and close the books, but others repeat similar horrors all around the world ... slavery, witch hunts, slaughter in the name of the religion, the whole spectrum of evil. Thank you for your comments. Would you please respond back by leaving the link to your article series? I'm assuming it's online. I would like to read them and in case other visitors come here they might want to know the results of your research also. I have written a series of articles about witches few months ago and I was shocked how profitable business was built around trials. Despite the fact we have to import some of the most horrifying torture devices (we were too small for making serious profits), our country (Slovenia) had one of highest percents of sentenced witches. But if you check some data about killed people in trials, you will soon notice they are exaggerated for at least factor 10 (rather 100), because millions which are still reported in some encyclopedias all rely on one influential but wrong math equation.